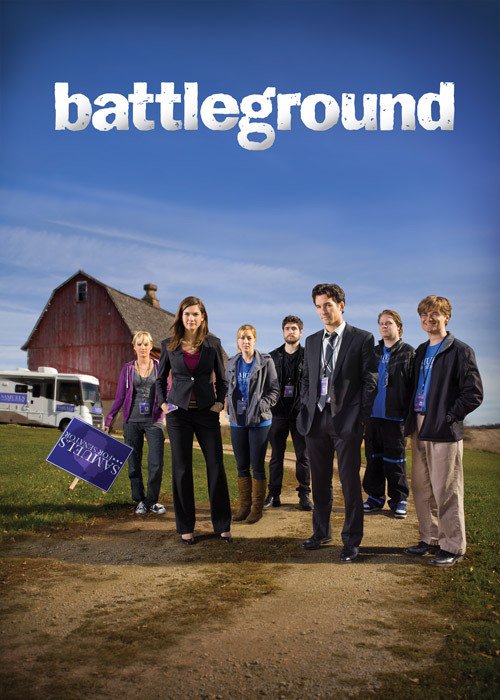 Hulu on Sunday launched the network’s first original TV series Battleground. The fictional show following a political campaign in Wisconsin and was produced by JD Walse, Haigai Shaham and 500 Days of Summer’s Marc Webb. The company is likely to follow up the series with more documentaries including further runs of Morgan Spurlock’s A Day in the Life and Richard Linklater’s new series Up To Speed. Battleground is set to roll out on February 14 with other shows starting later in the year. Hulu’s original programming is being made available to both Hulu and Hulu Plus users. News of the new series and future plans comes at a time when Hulu has promised to spend $500 million on content in 2012. Hulu has begun to focus more on original programming at a time when the company could easily be tarnished by decisions made on the part of part owners Comcast (NBC), Disney (ABC) and News Corp. (Fox). Many users were angered when Fox decided to delay TV shows for 8 days unless Hulu Plus was used. Do you think web users are going to tune in to watch original programming on the Hulu network?